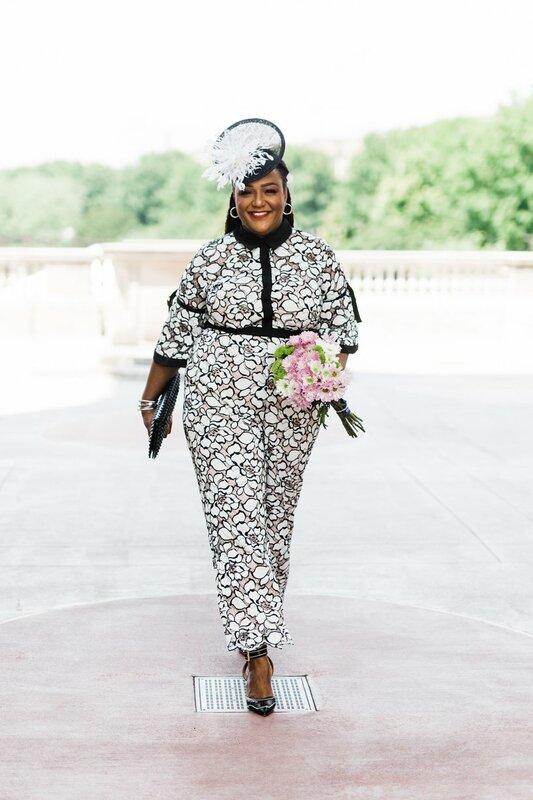 This past weekend, I was fully engaged in everything Royal Wedding. 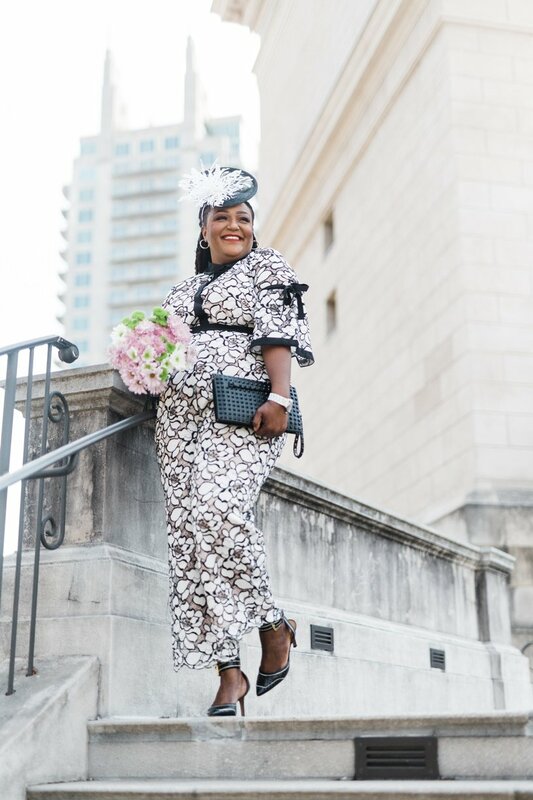 And although Cousin Meghan forget to send my official invitation, I had my outfit — including a fancy fascinator — all ready to go. I would have loved to hop a flight to the UK for the wedding that had Royals mingling with some Hollywood “royalty” all in celebration of love. 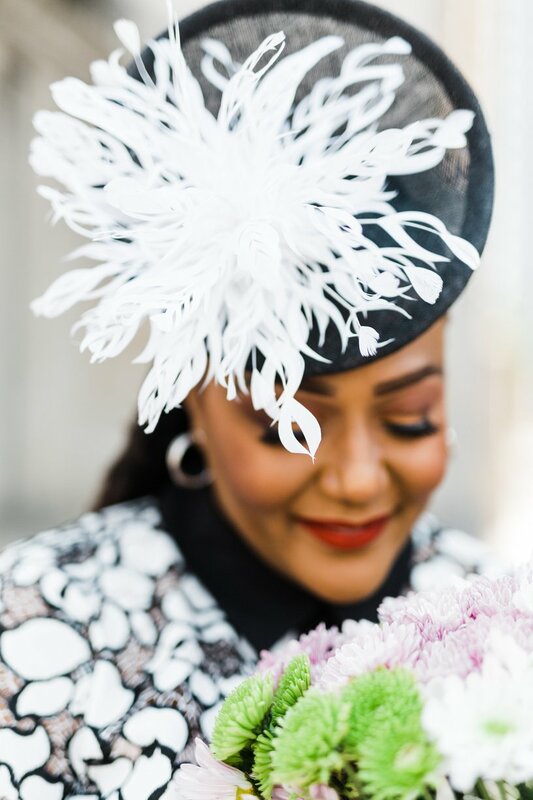 I absolutely adored how Harry and Meghan’s royal wedding combined the traditions of the monarchy with African-American culture for a splendid affair. And just about everybody brought their best fashion game. 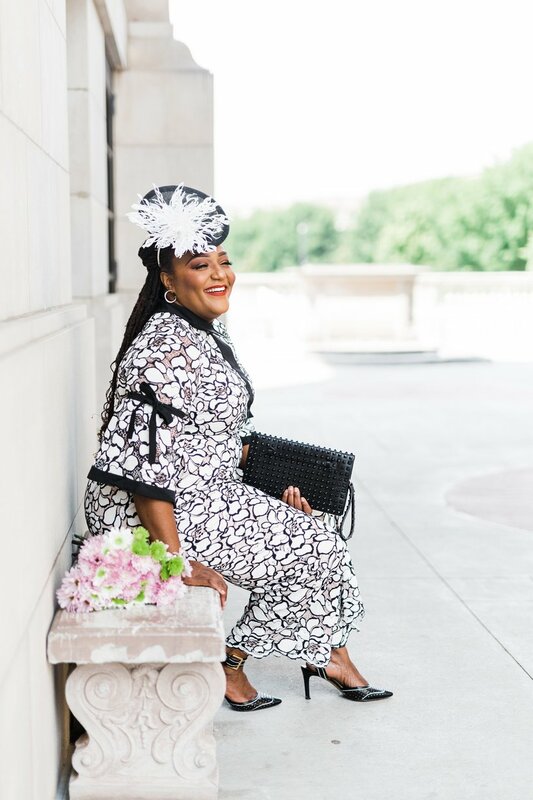 Meghan’s mom Doria Ragland was the epitome of grace as she watched her baby become the Duchess of Sussex. I teared up every time I saw her. 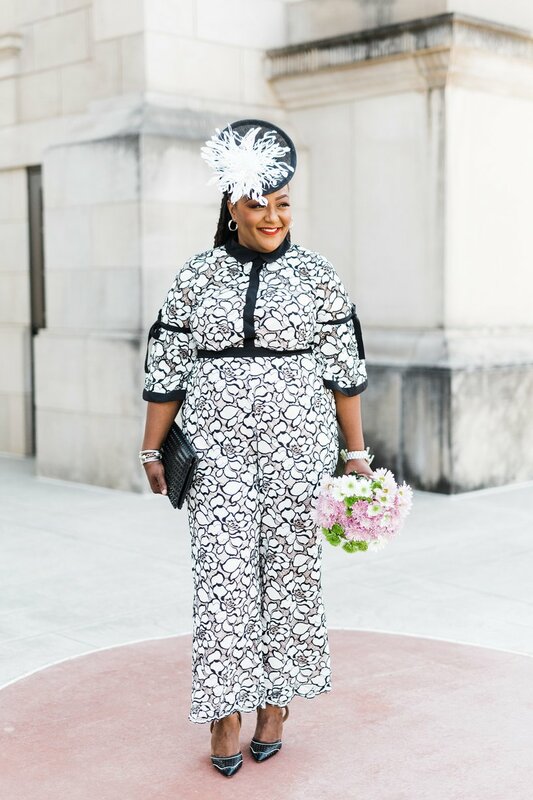 While everyone looked great, I had 8 favorite looks of the day, including my own When Harry Married Meghan ensemble as well. Personally, I think the Brits get style and sophistication just right, especially for formal occasions. And on Saturday, royal pomp and circumstance was on full display. 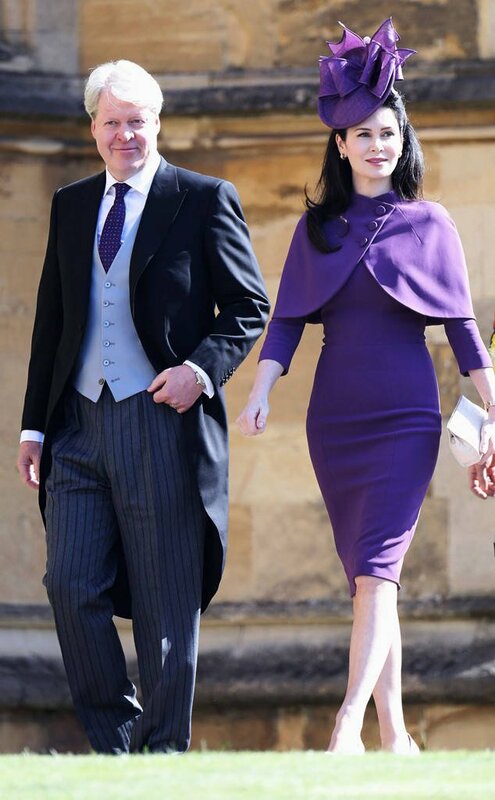 It was indeed the best dressed guest list we have seen anywhere in a long while. 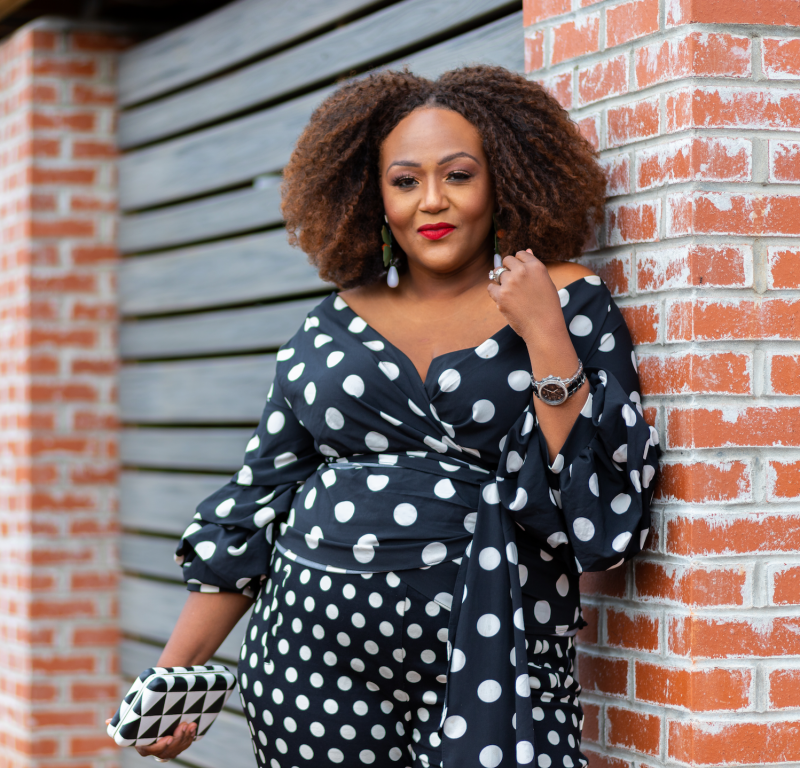 The vast majority of the ensembles appeared attainable, and were looks that could be easily replicated in some of our favorite department stores. 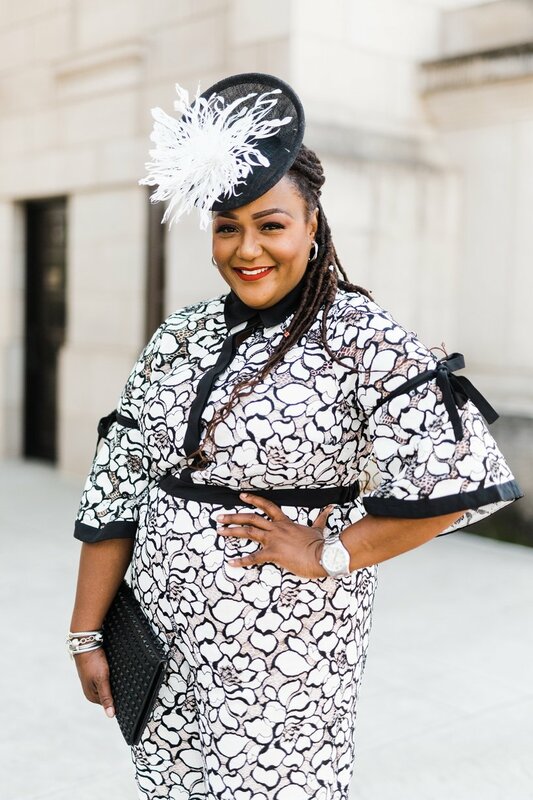 The fashion, including the wonderful hats and fascinating fascinators, especially the looks worn by Meghan’s mom Doria Ragland and Oprah Winfrey, can be found on most Sunday’s in any African-American church. It was all such classic, proper and occasion-appropriate attire. 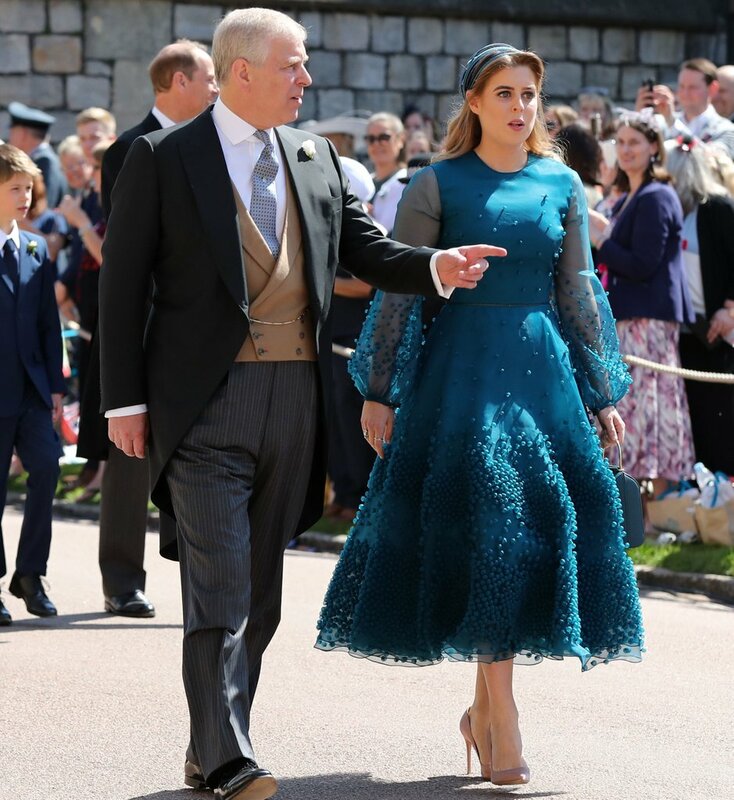 For those guests invited to the royal wedding, Kensington Palace issued a dress code. And for the most part, everyone followed it. “Dress: uniform, morning coat or lounge suit / day dress with hat.” That’s what Prince Harry and Meghan Markle’s royal wedding invitation required for the daytime ceremony. 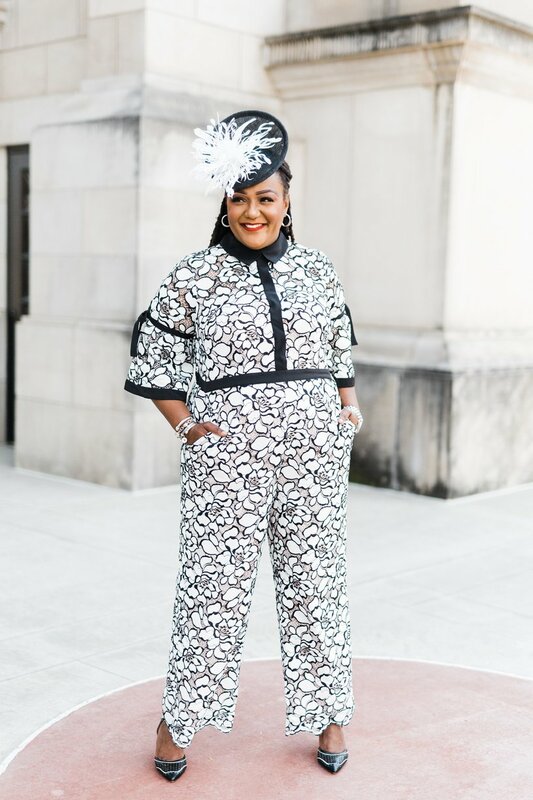 However, I would have opted for this simply amazing lace jumpsuit from ELOQUII. I mean, as gorgeous as it is, I don’t think anyone would have cared about me breaking protocol. (Can you tell I actually thought all of this out? LOL!) 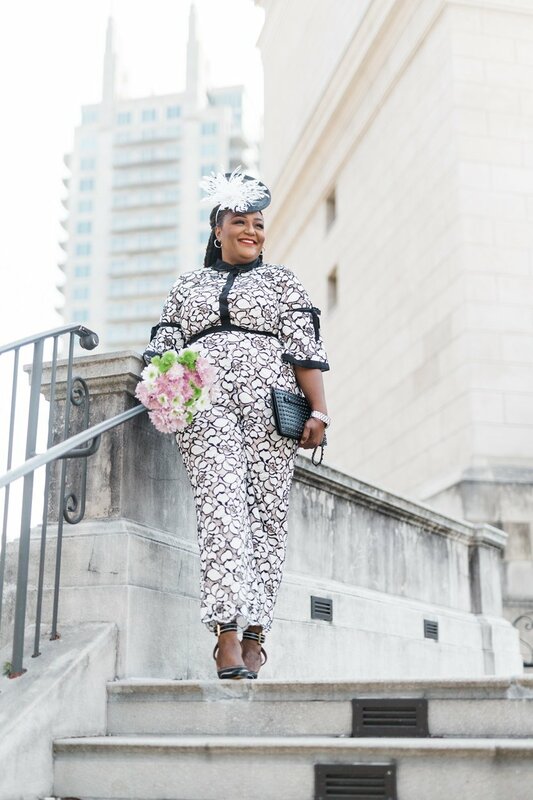 This head to toe floral one piece is a show stopper, and pairing it with this black and white fancy fascinator just added more elegance to the overall look. 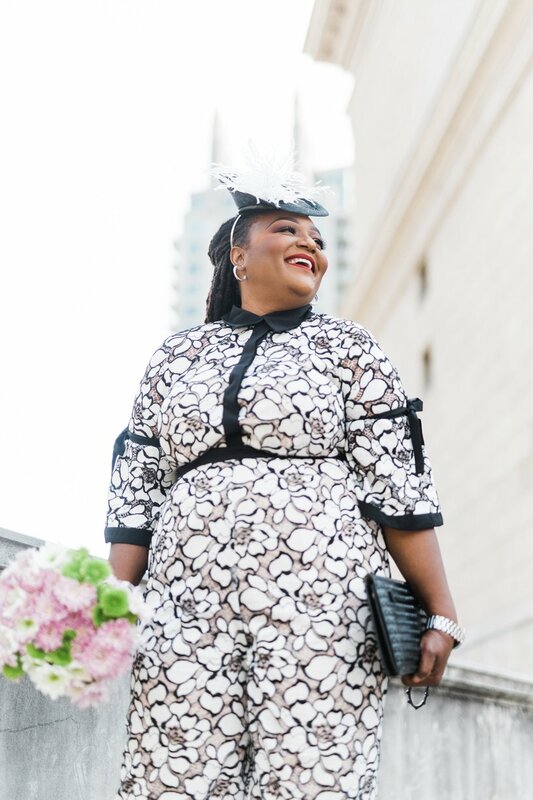 Everything about this look is an ode to the classic properness of British style for special occasions. 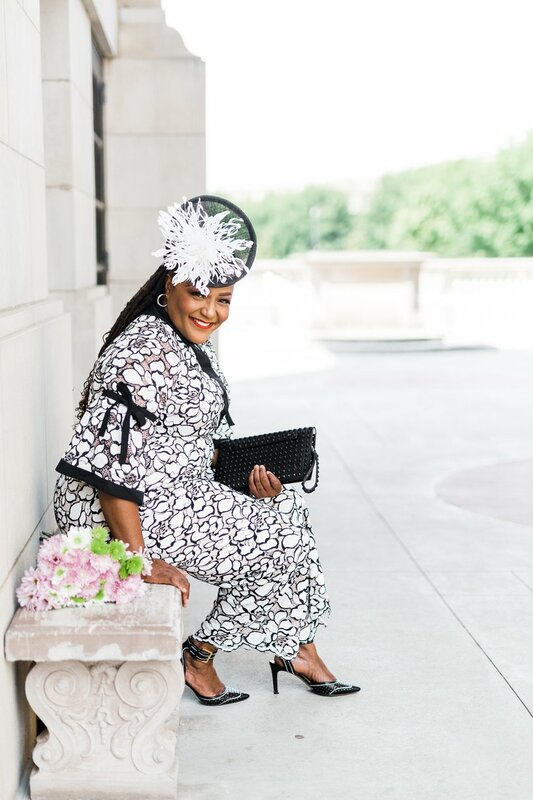 My fascinator is from KusNea, and was purchased from them at the TCFStyle Expo. KusNea has some fabulous fascinators at great price points. Be sure to check out their Etsy shop. I hope the Freehive appreciates this look as much as I do. 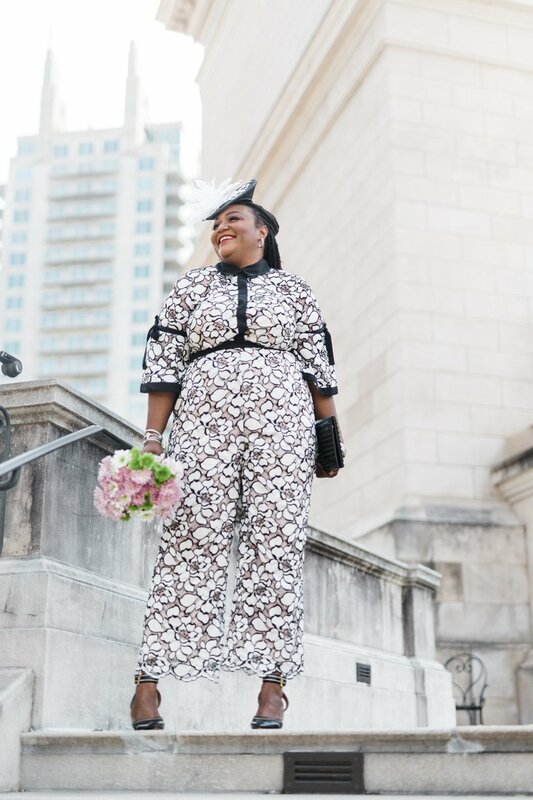 While there was lots and lots of amazing fashions at the wedding, I narrowed it down to my top 7 looks. Each ensemble is something I would wear. 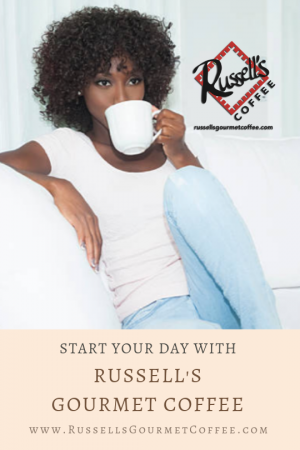 Take a look and tell me what you think in the comments below. I’d identified most as Classic looks too. My TOP 3 are the 2nd, 4th and 6th. I like the 3rd look, not particularly a great color on her. 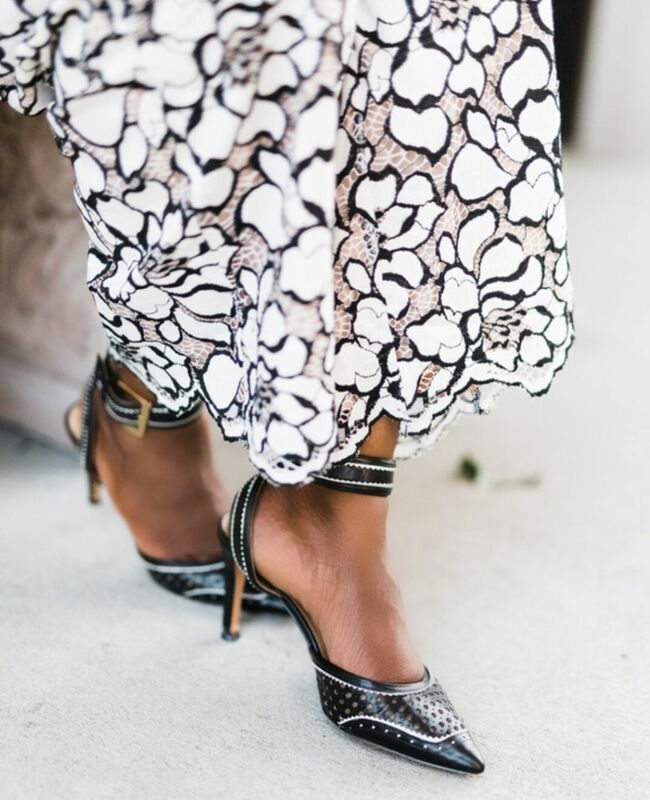 Your look would be another Classic look for the occasion. I think Nikki Free is the best dressed. It did not matter that you were not physically there, your an inspiration to us real size women! I was sold at first look of your ensemble then you showed me the pockets… It was over. I am sold on POCKETS!!!!! Pockets are everything. I agree on your top 7 attendee looks. Show stopper. I loved all of these looks, Priyanka was my favorite! I hadn’t seen Kitty Spencer until this post. I LOVE her look. Priyanka Chopra had my number 1 vote until now.